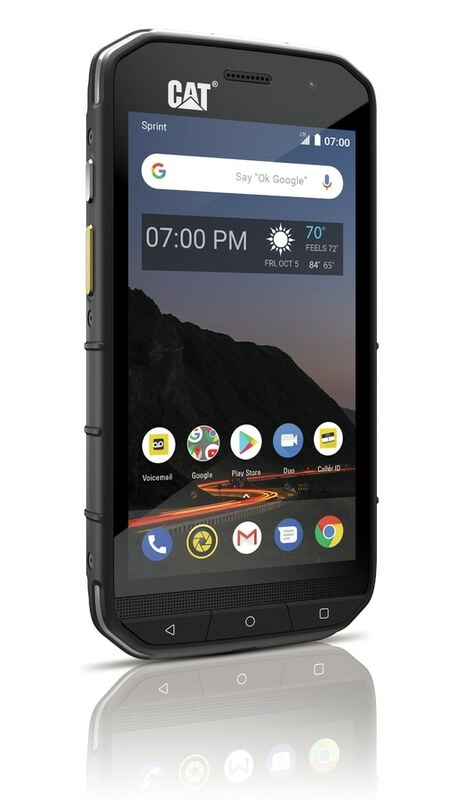 The latest Caterpillar-branded smartphone represents a major milestone for the company’s lineup of rugged Android devices. 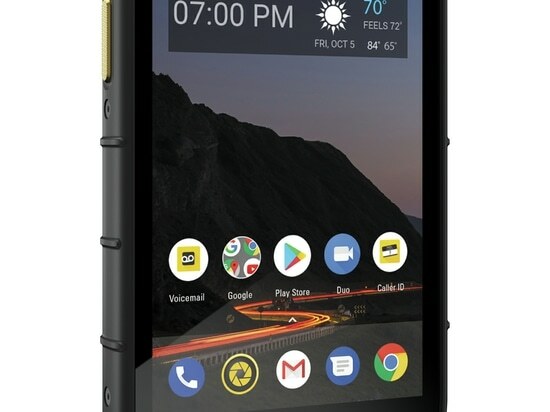 With its launch at Sprint stores this week, the new S48C is the first Cat Phone to be supported and sold through a major U.S. carrier. “One of the criticisms we’ve had is our products aren’t available with one of the major carriers here in the U.S. This fixes that,” says Peter Cunningham, vice president of product at Bullitt Group, the UK design firm that makes the Cat-licensed smartphones. While the phones have worked on U.S. networks, Cat Phone customers could previously only purchase the phones through the Cat Phones website. The phone, designed specifically for the U.S. market, “gives us the channel and the opportunity to access the North American market in a way we’ve never had before,” he adds. 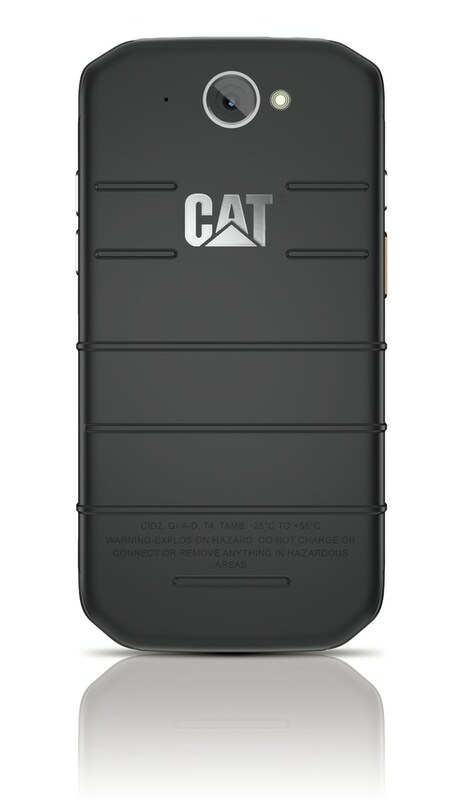 Caterpillar has been licensing its brand to Bullitt since 2013 in order to create rugged Android smartphones under the “Cat Phones” brand. These phones are aimed, not surprisingly, at users in construction and the trades. And though Cat isn’t a brand you’d normally associate with consumer technology, the phones Bullitt has built bearing the Cat logo have all been well-designed, solidly constructed and somewhat speedy devices. 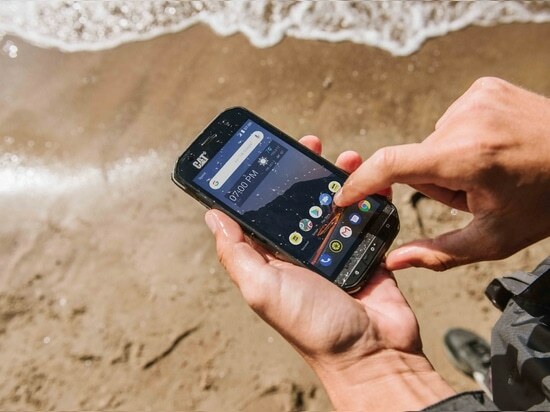 I have been pleasantly surprised to find that, year after year, iterative improvements put in place by Bullitt have made many of these devices some of the best deals you can find not just among rugged Android devices, but among Android phones in general. For the most part, Bullitt has designed Cat Phones to be impervious to the rough conditions of construction work and affordably priced. The firm’s previous phone, the Cat Phone flagship S61, eschews that second design consideration with a $1,000 price tag. 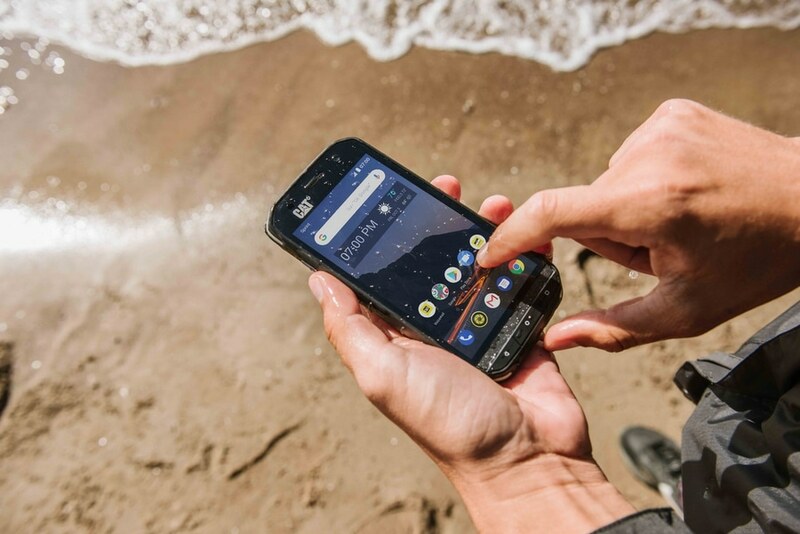 But, with a built-in FLIR camera, laser distance measuring, an air quality sensor and other features, Bullitt argues that you are getting much more than just a phone when you buy the S61. They see it as a pricey new digital take on the Swiss army knife. But as I noted in my review of the S61, despite the thermal camera and other whizbang features, at $1,000 it is hard to recommend the S61 when, for the same money, other smartphones offer way more processing power and better cameras. 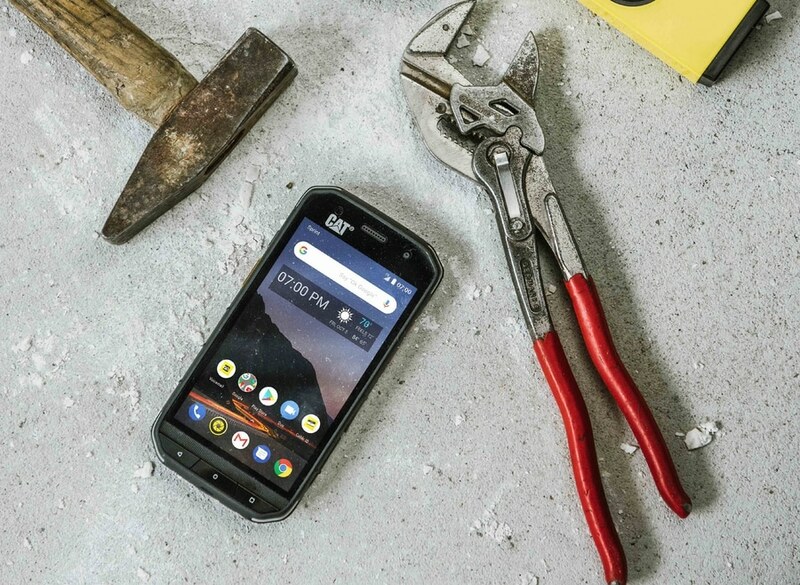 The Cat Phone lineup has been at its best when pricing devices in the $500 range while offering ample processing power, durability, a stock Android experience and extreme durability. And according to Cunningham, those were the primary goals behind the S48C. During our talk, Cunningham prefaced much of the details he shared about the S48C with data gained through surveying Cat Phones customers. “We consistently talk about the importance of the research. We do more research than any other company in this segment. Our customers tell us what they like about the product, but more importantly they also tell us what they don’t like,” Cunningham explains. 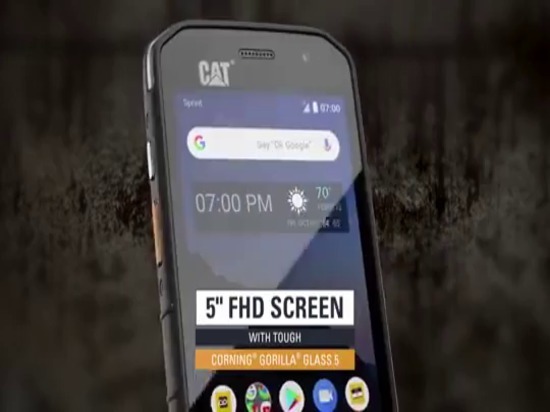 Cunningham says 91 percent of Cat Phones customers have said they are satisfied with their purchase, while 88 percent have said they would buy another and recommend a Cat Phone to a friend or family member. That feedback is important to the company and Cunningham says Bullitt pays far more attention to what its customers say than what other smartphone makers are doing. And while eliminating bezels and squeezing more screen into a smaller footprint has made for better, albeit more expensive, smartphones, Cunningham argues that there are practical reasons beyond price that a lot of customers prefer phones with displays that don’t go edge-to-edge. “(Edge-to-edge displays) are beautiful but they’re delicate. If you drop them, sometimes once, sometimes a few times, that screen will eventually break. There are people looking for a device that is more durable and more robust,” he says. So instead of rounded corners or display edges that flow seamlessly over the edges of the device, Bullitt’s Cat Phones still have bezels around the screen. And the edges of the phone rise up slightly higher than the display to ensure that the screen is recessed a bit for extra protection in the event of a drop. 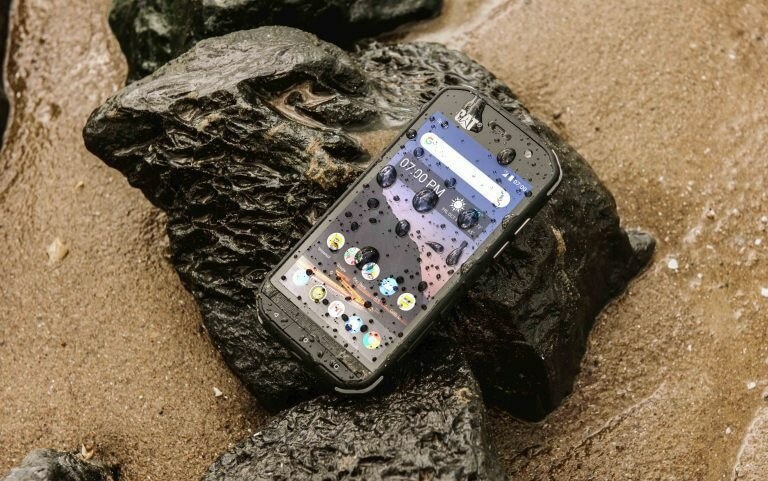 The S48C offers nearly the same rugged specifications as the more expensive S61: IP68 waterproofing vs. IP69 on the S61, and the same MIL810G standard which ensures the phone can survive drops from up to 6 feet. However, Cunningham says the S48C also has one new rugged design feature. 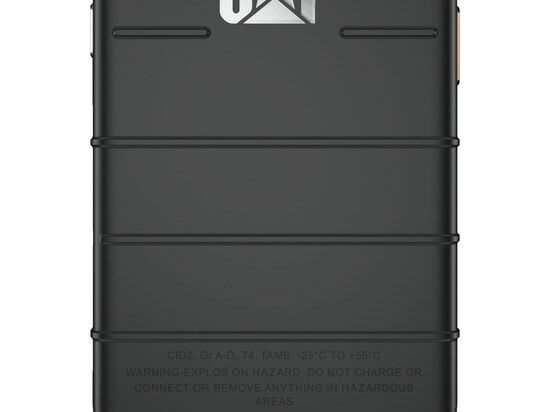 Apart from being highly durable, Cunningham says that the S48C is also the first Cat Phone to be given a Non-Incendive rating of Class 1, Division 2, allowing it to be used in hazardous work environments that restrict electrical devices that could produce a spark. “Oil refineries, gas storage or dispensing areas, aircraft hangers, mining. All of these were industries we couldn’t access with Cat Phones before,” he says. Priced at $480 or $20 per month with a lease through Sprint, the S48C will be positioned just below the S61 in the Cat Phones lineup, Cunningham says. You can think of the S48C as an S61 without all the bells and whistles. Stripping away the thermal camera, air quality sensor, laser measuring and other features is what brings the S48C into a much more affordable price range. However, you still get the same processor, camera, screen and other important features found on the S61, which Bullitt considers to be its best phone to date. Cunningham says Cat Phones customers have told the company that battery, display brightness and expandable storage are the most important features in a phone. So, the S48C has a huge 4,000 mAh battery (more than enough for a full day’s use), a super bright display and 32 gigabytes of storage that can be expanded up to 128 GB with a microSD card. The S48C is powered by a mid-range Snapdragon 630 processor and is outfitted with 4GB of RAM. It will ship with Android Oreo but will be able to upgrade to the latest version of Android, Pie, via a software update. 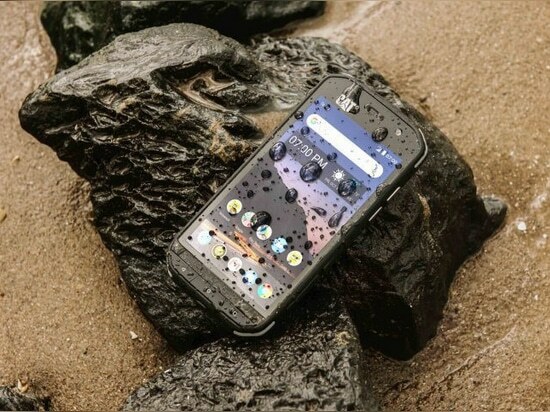 The phone features a 13 megapixel camera on back with a 4MP camera on the front and can be used to take photos underwater. The display is 5 inches in size with a 1080p HD resolution and the ability to be used with gloves and when wet. And because the phone is launching on Sprint, Cunningham says it will have push-to-talk capability, a feature a lot of Cat Phone users will likely appreciate.